The perception about the king, nobility and the people through the first royal private (incognito) tour of King Chulalongkorn (14 July- 7 September 1904) rested on divergent patterns of “behaviour” and “functioning” accompanying the three different statuses. The king, the leader of the country, behaved in the same manner as the commoner in order that he could be able to “perceive” the livelihood of his subjects as it really was by first hand experience rather than only to have it reported by aristocrats. At the same time the trip was also to observe and evaluate the outcomes of his previous regional administrative reform, as well as a tryout of the modern communications system he had just constituted. By the same token, the officials who accompanied the tour, were the ones who played enormously important administrative roles in the newly founded modern administrative system. Along the course of the tour, these powerful aristocrats could develop their understanding and could get close to the commoners. As a result, they could make an appropriate adjustment to the functions under their responsibilities, which were important parts of the progressive reforms of Thailand under King Chulalongkorn’s direction at the time. As for the people, they could be able to meet the king in private and be able to convey to him their personality, happiness and sorrow, in a straight forward way without their acknowledgement that the man, with whom they had meals and close conversations, was their sovereign lord of life and land. The behavioural conduct according to such statuses reflected a beautiful relationship between the king, state officials and the commoners. It was “love, indulgence, and kindness”, which the king showed towards his subjects, both the officials and the commoners alike, in the same manner as “a father behaves with his own children”. At the same time, the bureaucrats, who had the utmost loyalty wholeheartedly to the king, eagerly administered the country for the benefits of the people as their service to the king and the country. As for the commoners, they already had their abstract loyalty to the king according to the absolute monarchy governance. The first royal private tour opened to them opportunities to realize the love, indulgence, and kindness of their king in concrete terms and, therefore, brought to them the multiplied feeling of appreciation and gratefulness to the king. This led to the offering to King Chulalongkorn, “the Great Beloved King”, who has been highly worshiped by all groups of the Thai until the present. 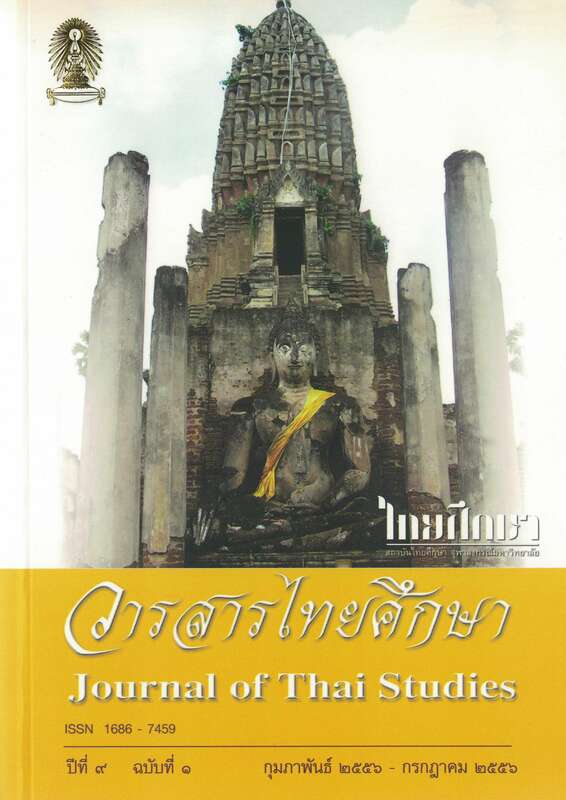 This article aims to study the rejuvenation of the Thai Buddhist Sangha during the reign of King Rama III by exploring the historical environment and context at that time, as well as looking at the approach used to restore the religious institutions. In analyzing the relationship between the Thai institution of Kingship and the Buddhist institution at the beginning of the Rattanakosin period, in particular during the reign of King Rama III, it was found that King Rama III paid considerable attention to the Sangha Institution because he realized the dominant role of Buddhist monks in propagation of the Buddha’s Teachings and that they had high respect representing the knowledge of moralistic Buddhism. The virtues of the Sangha represent the harmony between the community and the state, and the traditional path of teaching dharma to disseminate Buddhism to the people. The rejuvenation of the Sangha Institution was for the unity of the country during the reign of King Rama III. The efforts included the compilation of a new version of the Buddhist Canon Pali Tripitaka; the promotion of ‘pariyattitham’ or the text to be used to study the words of the Buddha; the construction of Buddhist monasteries; support of ordinations to institute Buddhist discipline and teachings; and the amelioration of the Sangha Institution. The commitment to rejuvenating the Sangha Institution in this reign has underpinned the viability of the Thai Buddhist tradition in sustaining the administrative stability and consolidation of the institutional development of the Sangha in the contemporary period. The aim of this research article is to examine various scenes of journeys and transportations depicted in classical Thai mural paintings of Rama III’s reign (A.D. 1824-1851), in which great changes in terms of concept and technique were introduced to classical mural paintings. Mural paintings from different royal monasteries of the third reign, mostly in Bangkok, are surveyed in order to pick the journey and transportation scenes. Journeys and transportations in various ways can be observed in these mural paintings. The results of the research lead to the division of journeys and transportations in the studied mural paintings into two types. The first type sees the scenes of real journeys and transportations, no matter the travelers are the Buddha and his disciples, kings and their entourages, merchants and city dwellers or even soldiers and slaves; what kind of vehicles these travellers used or what the purposes of making the journeys shall be. All the journey scenes in the mural paintings do reflect the journeys and transportations which accurately appear in social life of the Thais during the Early Bangkok Period. The second type of the journey scenes are surreal journeys, mostly by mean of flying. Flying is mentioned in Buddhist texts as the way of making journey for those who had fully accumulated their perfections or those who had gained enlightenment. The Buddha and his Aranhanta disciples, the Chakravatti universe kings and angels are exemplified as the ones who have magic power to make their flying journeys. This article aims to search, compile, study and analyze the historical background and significance of using figures of imaginary animals called as Sat Himaphaan for royal-ceremonial ornamentation and inheritance of decorating this mythical-Himaphaan Forest creatures in Contemporary Royal Ceremonies. The study found that the legendary figures of Sat Himaphaan has been intellectual heritage of Ten Thai Crafts in Thai society which have elaborated from animal-like figures and were known as Sat Himaphaan since the reign of King Rama the Sixth. The tradition and importance of figures of Sat Himaphaan had illustrated in fine arts since the Sukothai period until Rattanakosin era. In royal ceremonial tradition, the figures of Sat Himaphaan has exclusively been introduced for the decoration of Phra Meru and the Royal-Crematory Procession in Royal Funeral Ceremonies of Majesty the King’s royal body and the Members of Royal Family’s bodies to celebrate their solemnity and dignity. In the later time, in the reign of King Rama the Sixth, the tradition of introducing the figures of Sat Himaphaan in the Royal-Crematory Procession had been abrogated. However, at the present time, the inheritance of creating the figures of Sat Himaphaan to decorate Phra Meru in Royal Cremation Ceremonies for the Members of Royal Family has depicted the ideological tradition of Phra Sumeru Mountain in the Triphum Buddhism World with the belief of the King as Demi-God and his rebirth in the Heavenly Devine Kingdom of Mount Sumeru after his death. This has reflected the creation of the legendary figures of Sat Himaphaan has been inherited as cultural Intellectual heritage from the past until contemporary time. An elaborate funeral pyre called Phra Sumeru Merumas be built for Royal Cremations.